bombers at Midway, June 4, 1942. 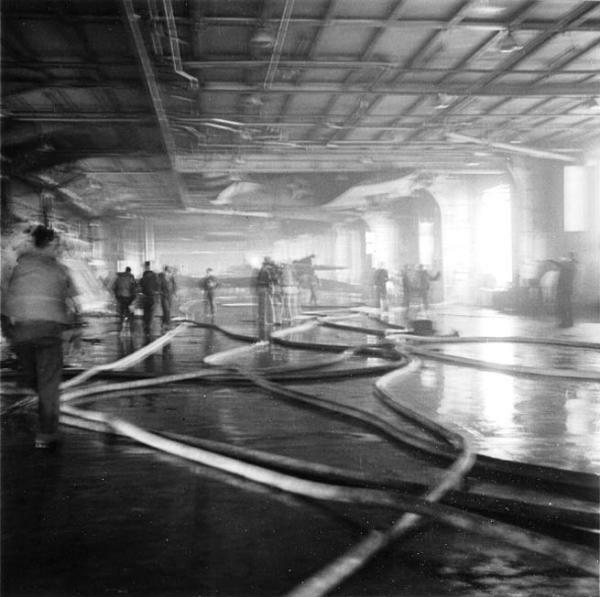 On Yorktown's hangar deck, water hoses extinguish fires caused by bombs from the Japanese carrier planes. The plane with obsolete marking suspended above the firefighters' heads is a TBD-1 torpedo bomber. 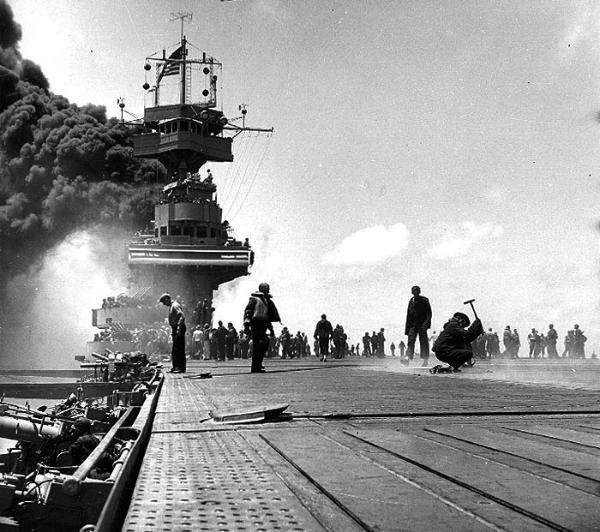 Battle of Midway, June 4. 1942. 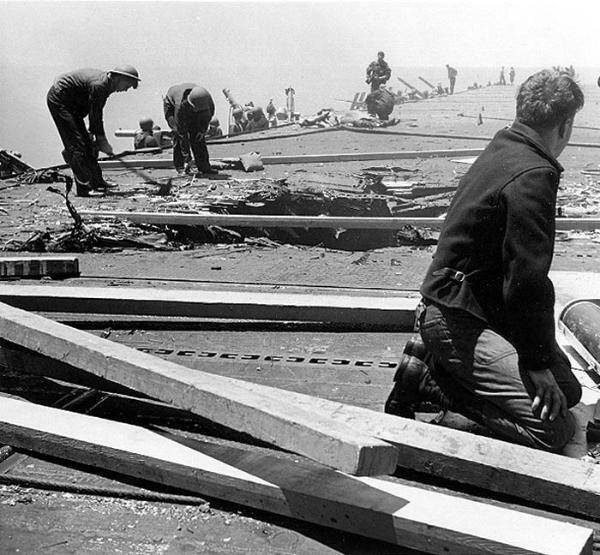 At approximately 2:45 p.m., June 4, 1942, a torpedo has just exploded against Yorktown's (CV-5) port side. 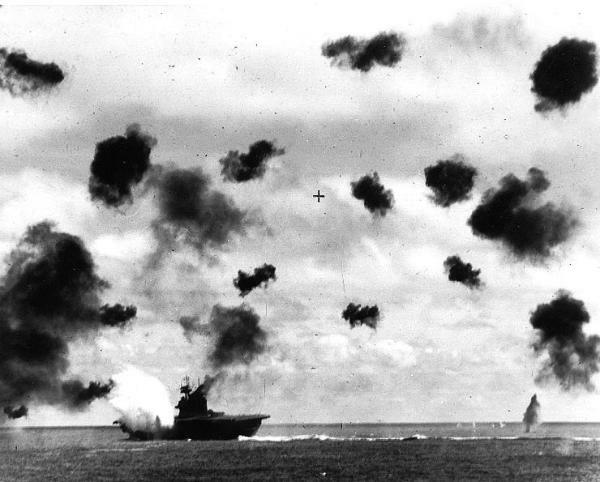 plane attack during the Battle of Midway, June 4, 1942. 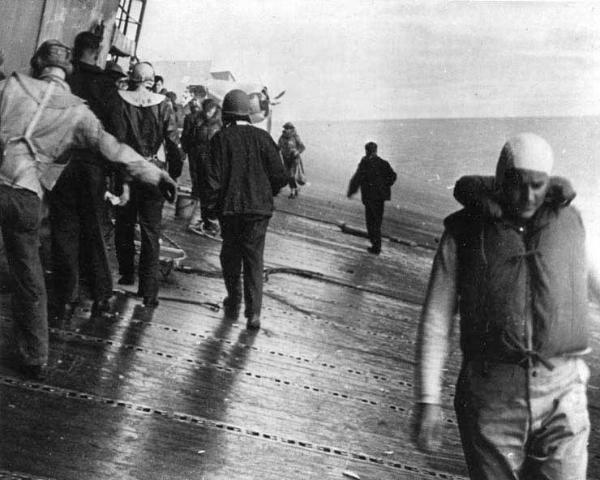 Yorktown (CV-5) crew assembles on the listing flight deck and prepares to abandon ship. 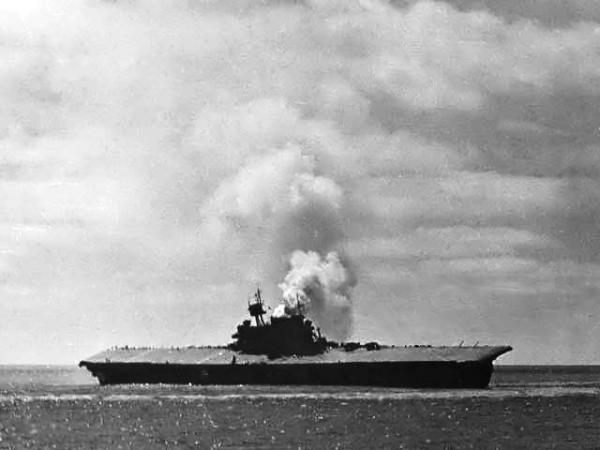 attack during the Battle of Midway, June 4, 1942.